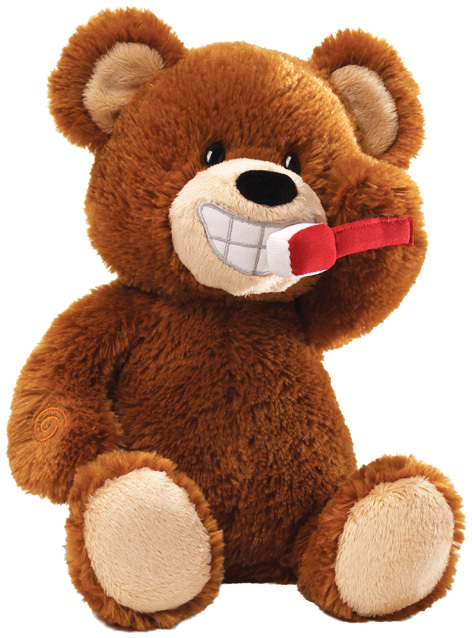 Brushin' Buddy is one of the latest innovative and entertaining products from GUND, makers of high quality premium soft toys. This beautiful little bear says numerous phrases during his two minute song. This is perfect for younger children, keeping their attention for the dentist recommended teeth brushing time of two minutes. With a light up smile, this unique product delights children and parents equally. Like all GUND products, Brushin' Buddy has a beautifully soft plush body that kids love to cuddle and take around the house with them. If you like Brushin' Buddy, you might also like to look at GUND Rock Me To Sleep bear. He asks to be rocked to sleep and then gently snores until sat back up. 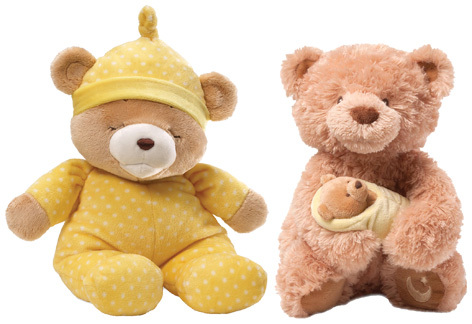 Also in the range is Rock A Bye Bear that features a gentle rocking motion with clever mouth movements. Please tell us what you think of Brushin' Buddy by Enesco.